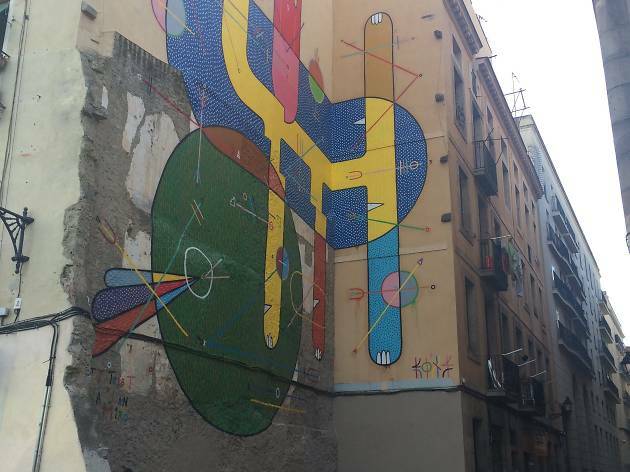 Barcelona is an artist's paradise. Down each slender alleyway, behind trees and bursting from the most unexpected places, you can find a snippet of art, whether it's been created by professionals or amateurs, built into the architecture or displayed in museums. 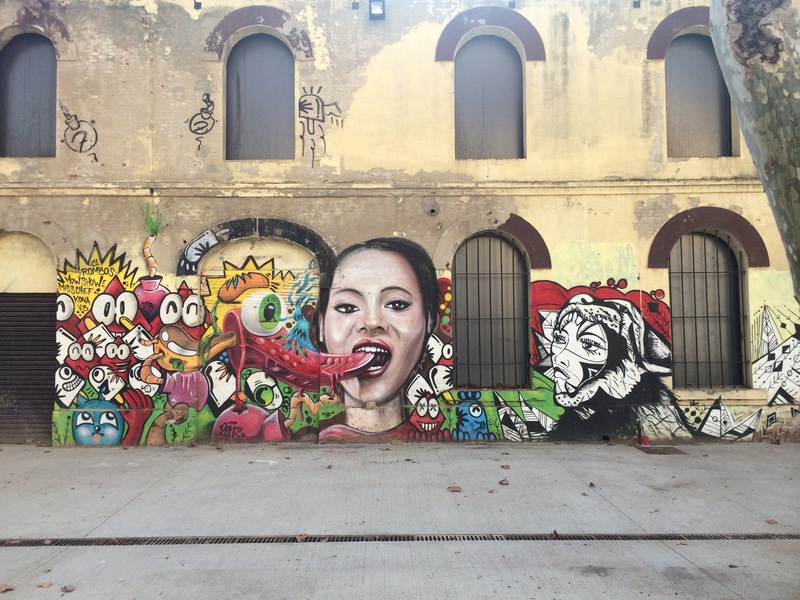 Museum art and urban art at first seem like opposing concepts, since urban art is designed to be in the city streets and not to be classified within the parameters of a museum institution. 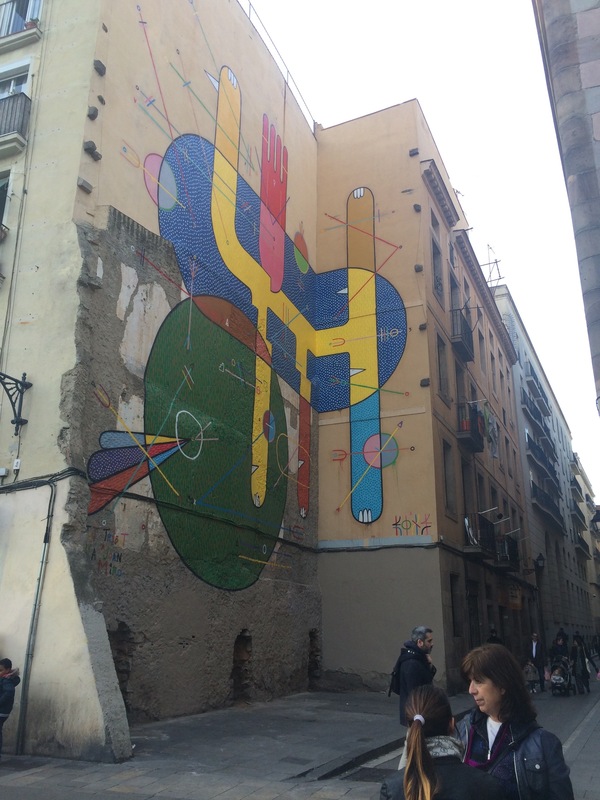 But Bostik Murals – the first urban art museum in Barcelona – does away with those ideas. Strolling through Nau Bostik, you'll find murals by Sixe Paredes, Sheone, Sebastien Waknine, BToy, Fasim, Manu Manu, Sam3, and more. 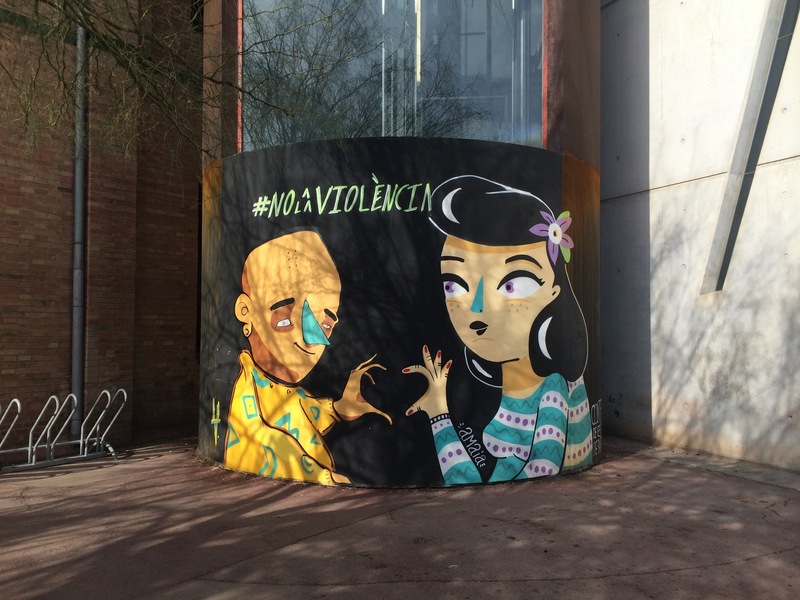 In addition to featuring works by renowned muralists, Bostik Murals offers its walls to students and artists from other disciplines who want to try their hand at murals. 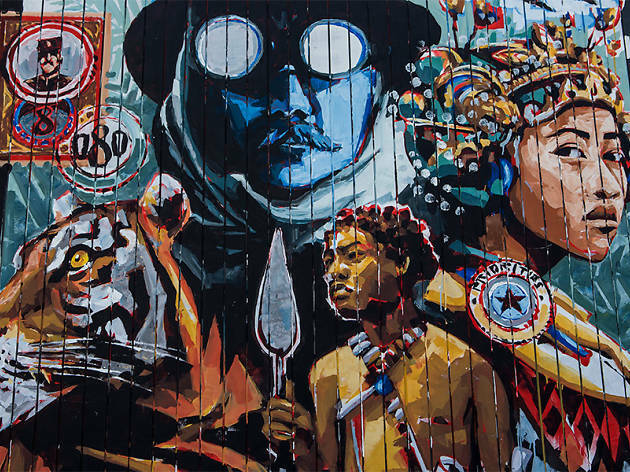 And to promote the debate on urban art, activities you might find in other museums are offered – explanations of the works, talks, presentations and workshops, for example. 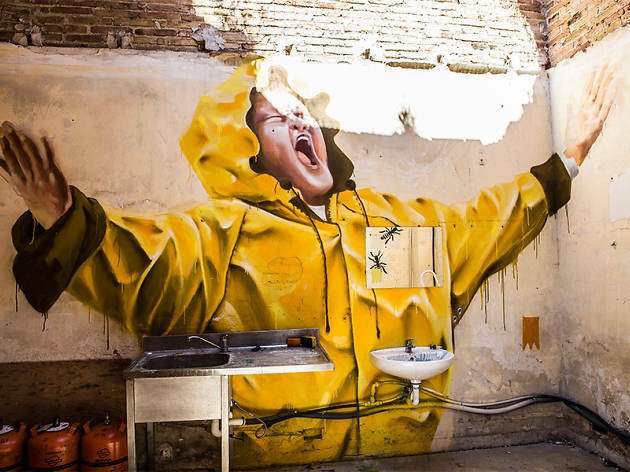 Calling all 'Breaking Bad' fans... Duo Adrià Bosch and Oriol Piquet opened their design studio, AXE Colours, in 2007 and have since created numerous paintings, murals and even homages to world-famous icons including Michael Jackson, Lionel Messi and Pepe Rubianes. 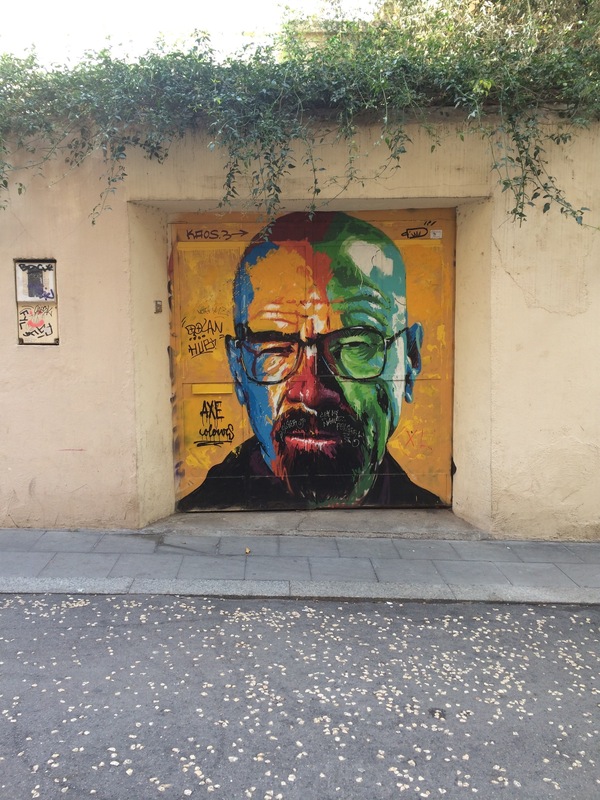 One of their most recent: a vivid portrait of Walter White on C/Verntallat in the Gràcia neighbourhood not too far from Plaça de la Virreina. The rainbow colours make the wall pop beneath the low-hanging greenery and give the alleyway a surprising, modern spin. 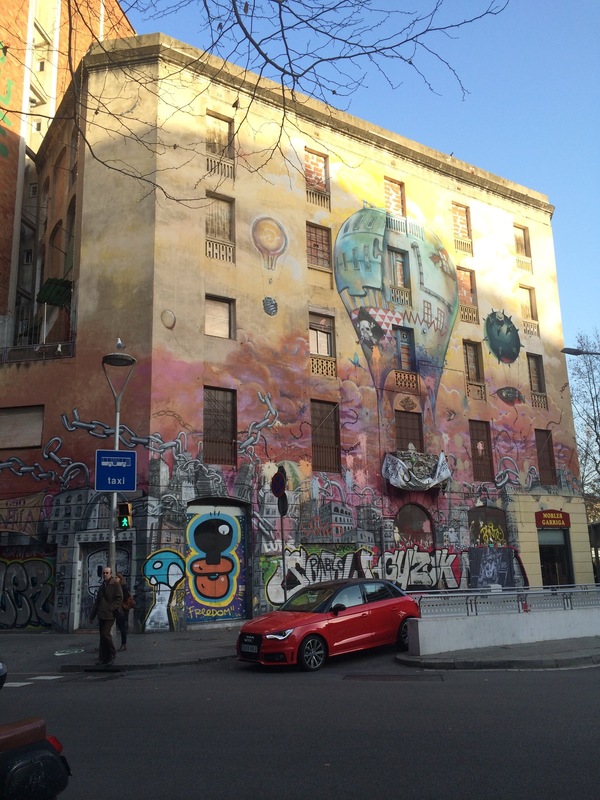 Probably the liveliest corner in all of Barcelona, just across the street from Parc del Centre del Poblenou, is where you'll find the outer walls of a building that used to be, walls that now serve as a canvas, an easel and a sketchbook. Works on this wall have been created by some of Barcelona's most recognised graffiti artists: S. Waknine, Valiente Creations, ONA, and Adit, among others. The works are frequently painted over to provide a clean slate for other artists, so there's always something fresh to gaze at. 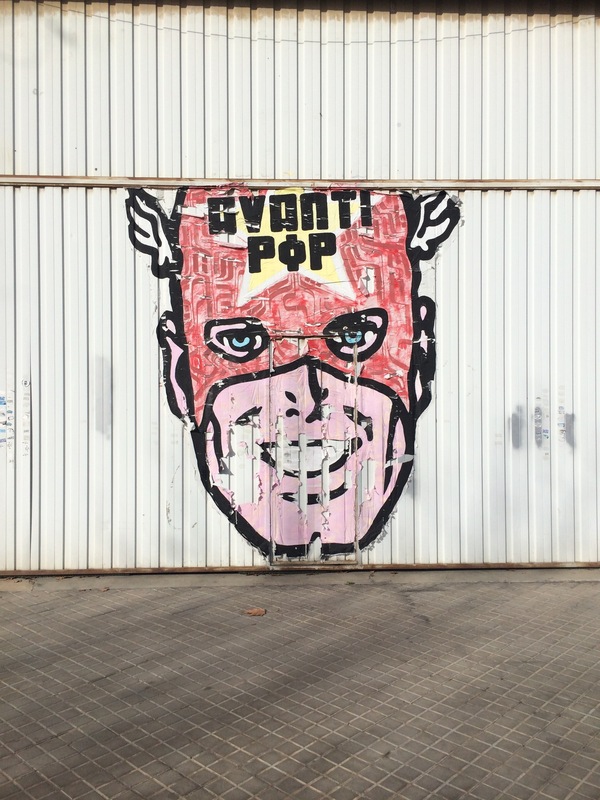 From the graffiti corner if you make a 180-degree turn you'll see the Superhero of Poblenou. 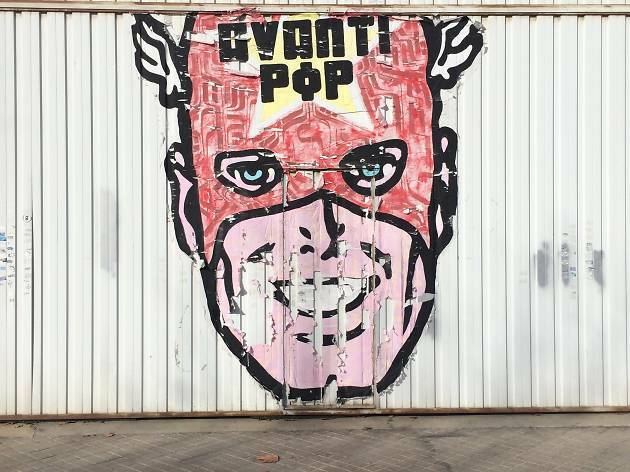 NauART, which provides a workspace for professional and amateur artists to hone their craft, commissioned Omino71 to create a mural for the front garage door. 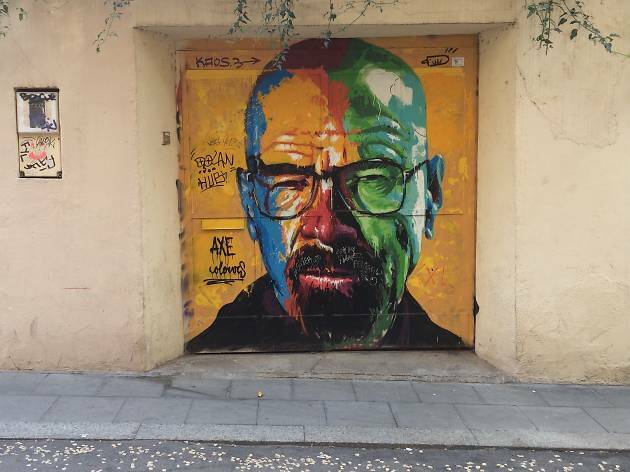 A lot of businesses around Barcelona ask artists to decorate their doors for a couple different reasons. One is to protect the doors of their shops from getting painted by amateur graffiti artists and taggers, McCreight says. The other is to give passers-by a sense of what they might find inside the shop when it's closed. 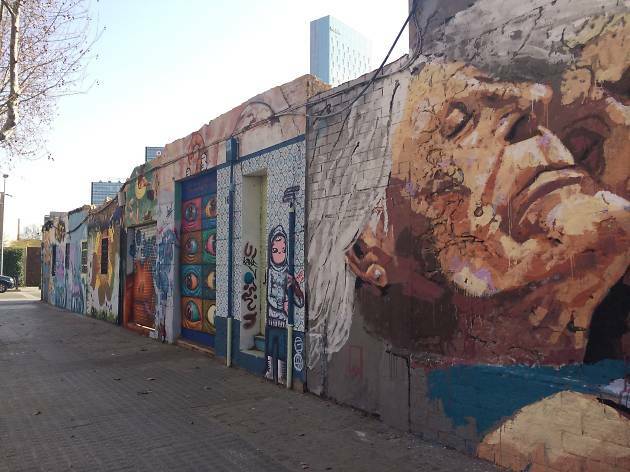 If you feel like you’re heading into a very restricted area in the Poblenou neighborhood, one with dilapidated buildings and scant greenery, fret not. 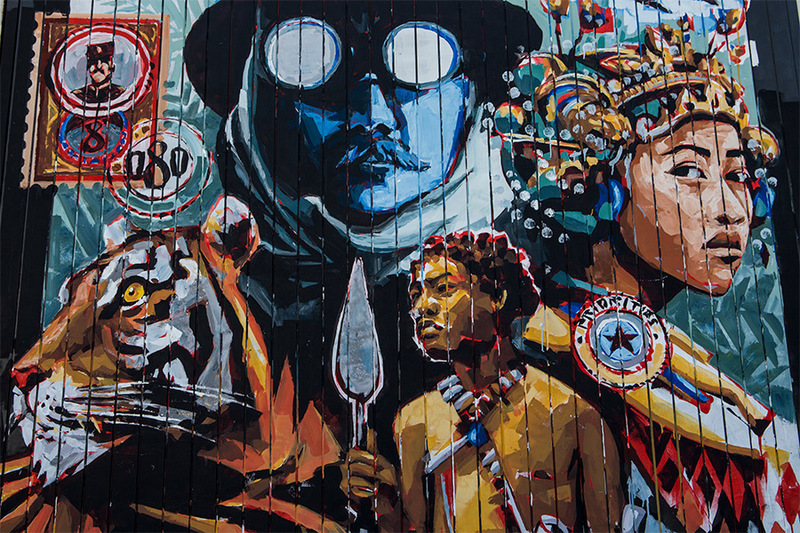 You may have just wandered into Hangar, an 18-studio 'neighbourhood' for musicians, writers, graffiti artists, and others to further their artistic practice. The studio space opened in 1997 after the city received ongoing complaints of too little space for art production. When you first walk into the Hangar area, look to the left, where you'll see a vibrant wall with graffiti cartoons, an entirely realistic face, and visually appealing randomness painted by Rombos, Mowshow, Miss. Chief, Kona, and Vegan Bunnies. Wander around. There's graffiti in plenty of nooks and crannies. The three-metre-long shark made of paintings of €100 notes at the top of El Carmel sure does make a statement. 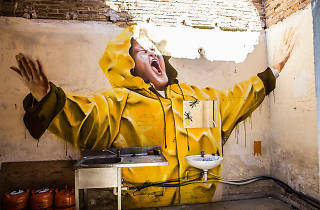 After a crackdown on graffiti and street art following Franco’s death in 1975, the Barcelona Contemporary Culture Centre (CCCB) began organising sponsored festivals to provide legal support for street artists. In 2008, the CCCB invited Blu, a prominent artist from Bologna, to showcase his thought-evoking work in one of the festivals. 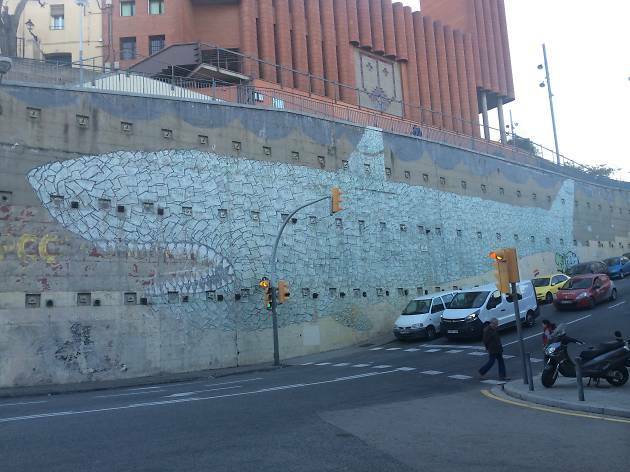 'El Tiburón' is a constant reminder of Spain’s political corruption. Whether offensive or not, the sheer magnitude and intricacy of the painting is impressive. 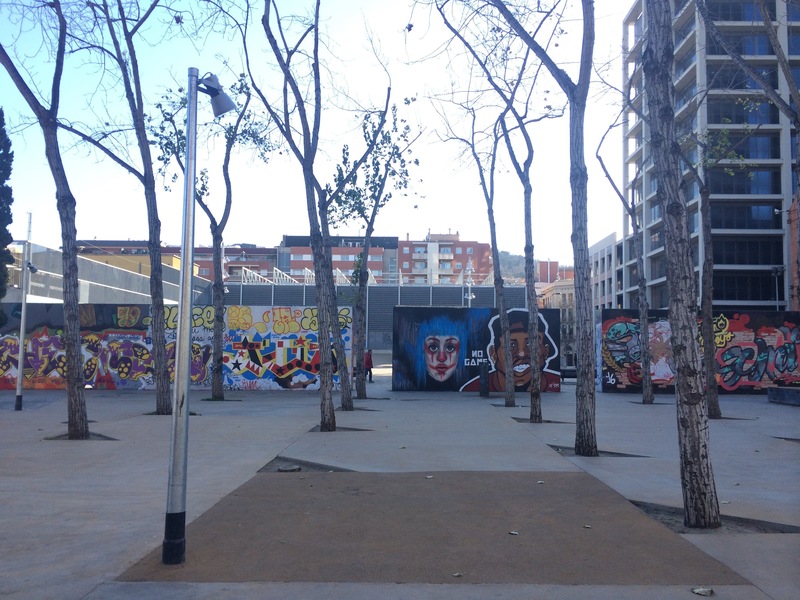 Take a skate, take a break, take a gaze at all the graffiti Jardíns de les Tres Xemeneies has to offer. 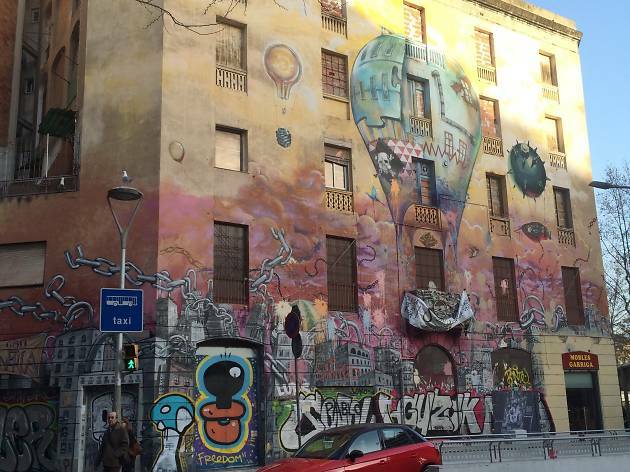 The walls in Tres Xemeneies ('three chimneys') are some of the few around Barcelona that are available through Murs Lliures ('free walls'), an urban spaces operating system that allows graffiti artists to reserve a space to legally create their art. The graffiti on the walls is constantly changing. Within the graffiti community, there is a sense of respect, McCreight says, when it comes to leaving someone’s graffiti on the wall for a couple of days; however, painting here is more about the practice and the exposure. In other words, artists shouldn’t feel bad when their painting gets covered up. 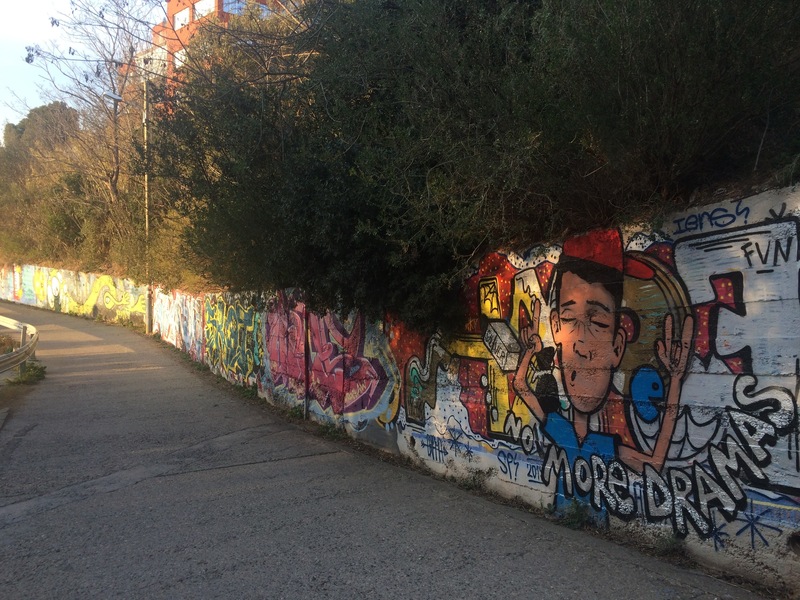 If you’re feeling a bit more adventurous, take a stroll up to Turó del Carmel, a park that offers you walls and walls of graffiti and views more expansive even than Montjuïc. Didn’t think that was possible? Neither did we. On the western edge of the park, you’ll find a graffiti wall that runs the length of Camí de Can Móra; it’s decked with fun caricatures, bubbly words, curlicues and colours galore. But don't stop there. If you brought your walking shoes, make the trek off the paved path, up the mountain, to catch a glimpse of Barcelona. It’s more than a glimpse, actually – it’s Barcelona in all its glory, and it’s quite frankly the best view the city has to offer. You get all of Barcelona and the Mediterranean to the south, mountains to the north and everything in between. The neighbourhood just up from Plaça de les Glories Catalanes is decked in graffiti – an old, empty lot filled with colourful doodles and commissioned storefront graffiti for blocks. 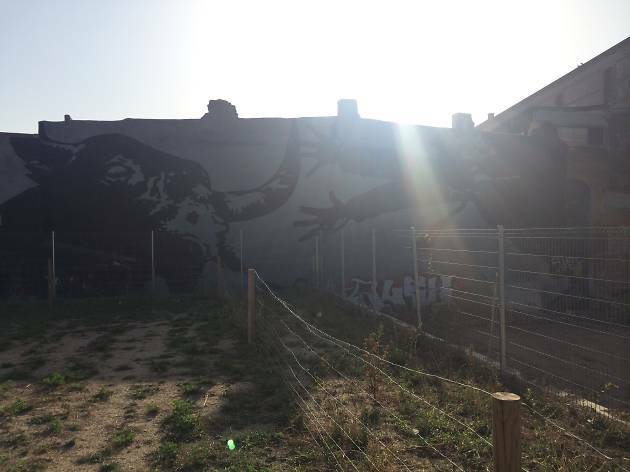 One of the most prominent is the black-and-white, 'grab the bull by the horns' graffiti on the corner of Dos de Maig and Plaça de les Glories Catalanes.